​See what's in your Aura (Bio-Field)! The #1 company in GDV (bio-field) world! Do you want to Scan Your Inner Light? Earlier research proved that all living organisms are surrounded by a subtle energy field. More importantly the growth or program of every organism is influenced by the electric-magnetic field that surrounds it. ​We are a coalescence of energy in a field of energy. This elusive field of energy that surrounds all living entities can now be recorded and analyzed. What looms in our subconscious mind - our energy blueprint - can now be seen in the Aura or the Bio-Field! used in the Bio-Well Device. at St’ Petersburg University, scientist and inventor of Electro-photonic Imaging, or GDV technology ! With the GDV evaluation and bio-resonance, we can now ascertain many of the imbalances in ones' system. What ails us lies in our energy field, known as the aura, long before it manifests in the physical body. The energy field reflects the state of our consciousness on different levels - it's a mirror of what we are carrying subconsciously! 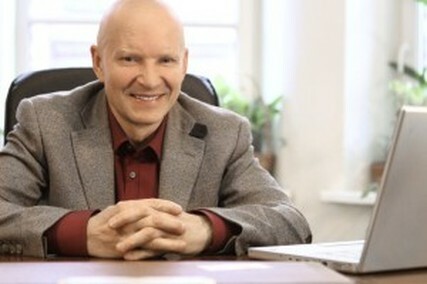 ​Now Dr. Korotkov has introduced our newer version, Bio-Well 2.0 to the world. The latest generation of Bio-Well GDV Camera, the 2.0 provides enhanced functionality and faster operation for the best user experience. The upgraded technology of the 2.0 allows for improved stability and a higher level of reproduce-ability. It also has a manually-controlled device ventilation. Includes an exclusive access to new features currently in development for future releases of the Bio-Well software. Used in training Russian Olympic and Paralympic athletes for the 2014 Sochi Games! Meet Dr. Konstantin Korotkov below in his video revealing his new technology. a) Basic home scans: The basic information is displayed and shown on the tutorial videos and manuals posted on this site or the ones found on the video tutorial page. b) If you desire to use Bio-Well for office, clinic or spa evaluations: It is mandatory that you take Level 1 & optional Level 2 professional certification training's. These training's teach comprehensive interpretations and understandings. For more information, click training. Bio-Well was featured in the Documentary Film: 'The Wellness Story". Bio-Well has been developed for today's internet market in a more accessible way than ever before. The product consists of a desktop camera and accompanying software, which allows a user to quickly and easily conduct human energy scans. Accessory attachments are also available for purchase to conduct Environment and BioClip scans.